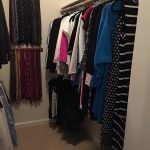 Today I want to focus on the initial process of clearing the clutter in your closet. Most of the country is stuck inside with bad weather so now is the perfect time to take on this project. So many people ask me where do I begin? 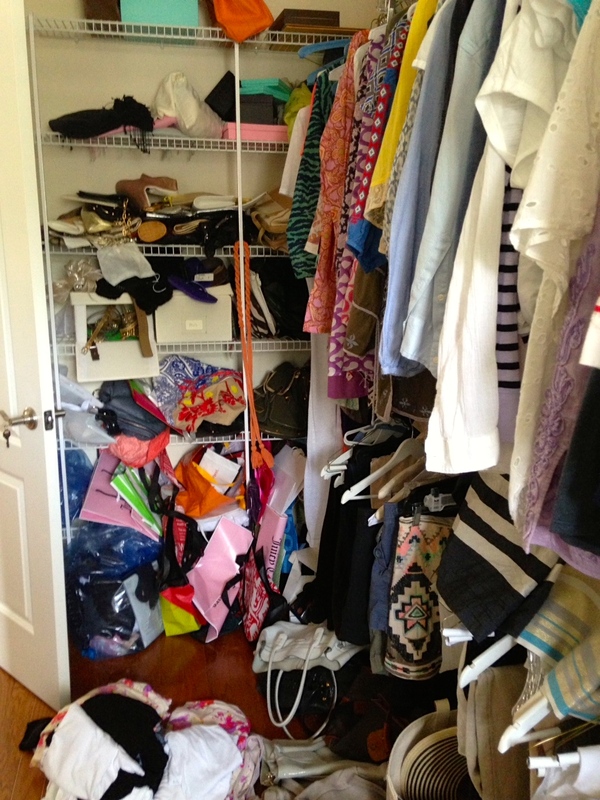 These 6 steps will help you begin clearing the clutter in your closet. 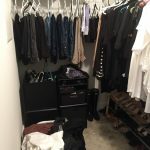 Take a photo of your closet before you begin – this is an important first step because it allows you to see what was not working in your existing closet. Not enough hanging space? Need more shoe storage? Taking photos will also remind you how your pre organized closet made you feel versus your new organized space. Take out everything – You have to remove everything in order to really achieve the closet you want. Taking everything out will encourage you to only put back what you wear and love. Think about what you will be doing with the items you no longer want or need – Are your clothes going to a consignment store? Donate? Are you going to give them them to a sister or friend? Once your decision is made and the bags are full get them out of the house. It stops second guessing and picking through bags. Clean the closet – Wipe down shelves and vacuum. It’s simple and worth the effort. Paint the inside of the closet – A fresh coat of paint gives your closet a brand new look for a small amount of money. Measure the space and make a list- When your closet is empty measure before buying anything new for your closet. 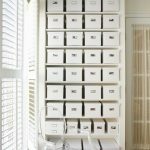 Keep a running list of what you need for your new space. These couple of steps will save time and money. Remember your closet is prime real estate so when going through this process make sure you have time to devote to getting it done. Stay tune for more tips on getting the closet you want and keeping it that way. 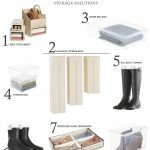 Clear the Clutter With Christine…What Products Can I Use To Store My Winter Clothes?